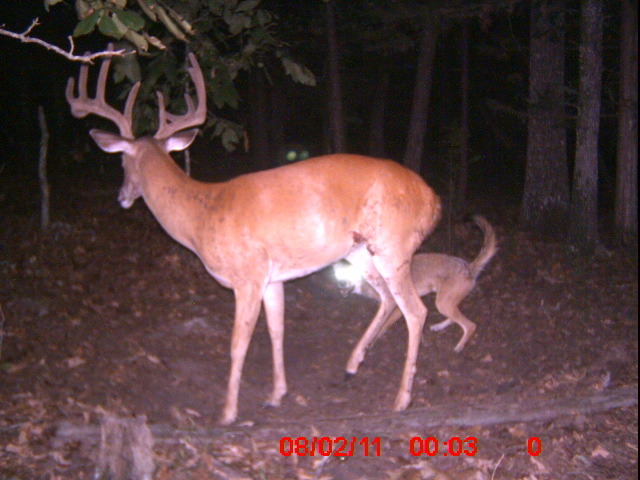 The following set of pictures were taken by a trail camera on a 500+ acre plot of land in Texas, a friend recently connected with me by sending me this interesting set of photos his buddy found when checking his family’s trail cameras. 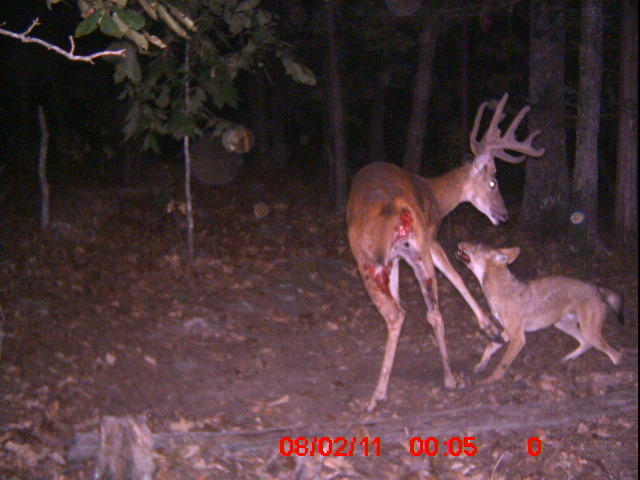 The pictures speak for themselves as this mature buck fights for his life against the wily coyote. 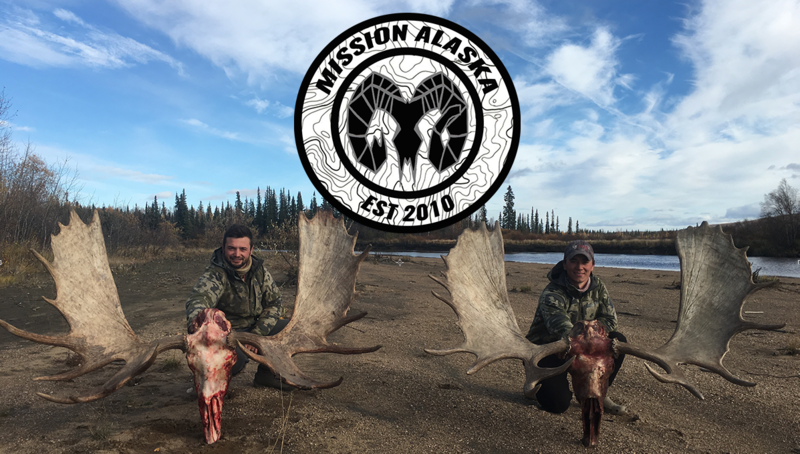 Pure nature instincts tells us the viewers that there is something wrong with this whitetail, when faced with fight or flight instinctual response the deer will usually choose flight (or running from harm). 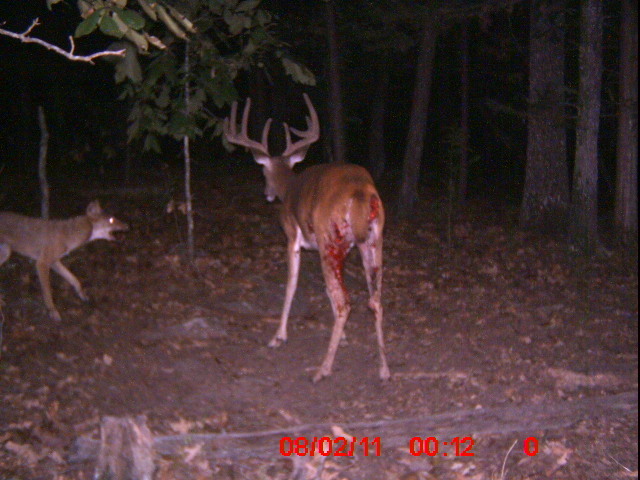 In this circumstance the buck turns to fight. 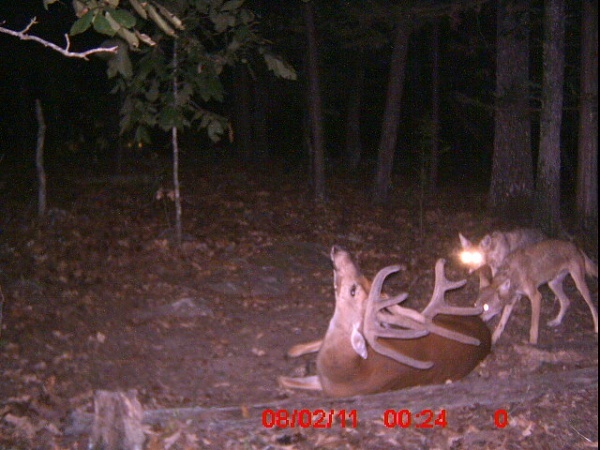 This buck has clearly spotted the coyote and the danger the predator poses. 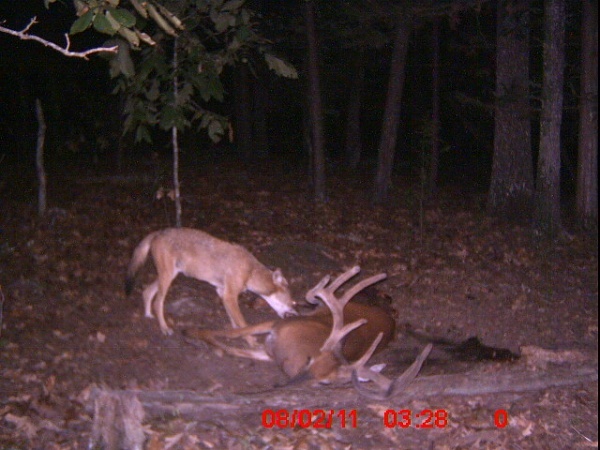 The Buck and the Coyote have engaged into a fight for life and death. 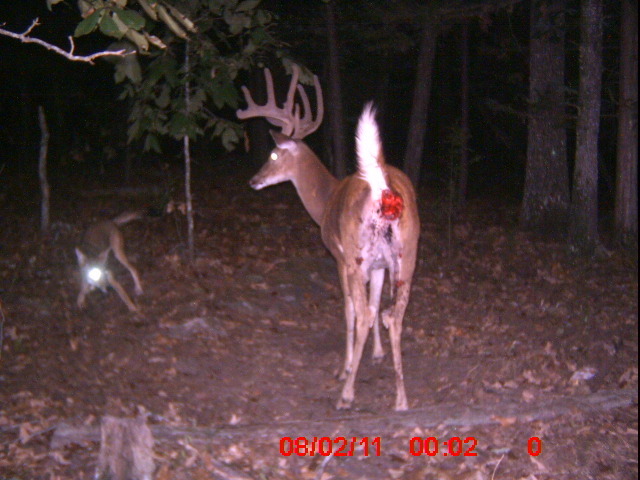 The coyote in most circumstances will attack the buck rear first, as this is the easiest point of entry. 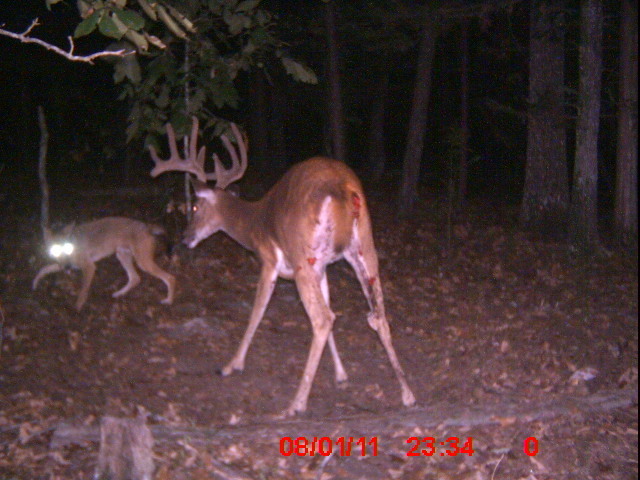 The buck is posturing and showing his antlers to attempt the intimidation tactic, which is clearly not working. 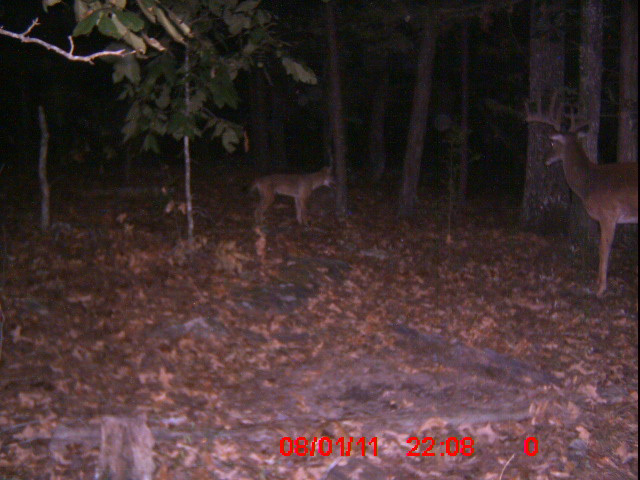 The coyote continues to focus on the hind legs of the deer, and his tactic seems to be working. The fight appears to be over. The coyotes attempt the rear entry on the dying buck. 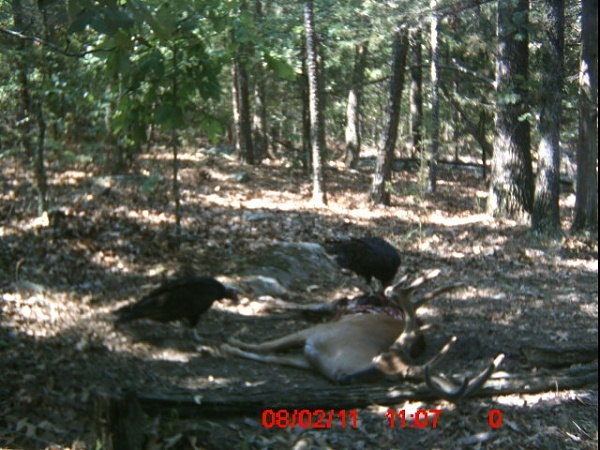 The turkey vultures will not argue with a free meal. Does anyone have any suggestions as to why this monster texas whitetail chose to go mono y mono against this fearless coyote and lose?